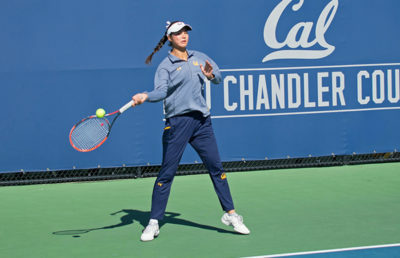 A lot can change throughout a team’s season, but for Cal women’s tennis, one on-court aspect has stayed the same: The Bears aren’t shy about cheering, and they’ll take those cheers to the Pacific Northwest this weekend when they take on Washington and Washington State. That was a contingent led by freshman Anna Bright cheering on juniors Maria Smith (“Ri”) and Olivia Hauger (“Liv”) during the singles portion of a recent match. 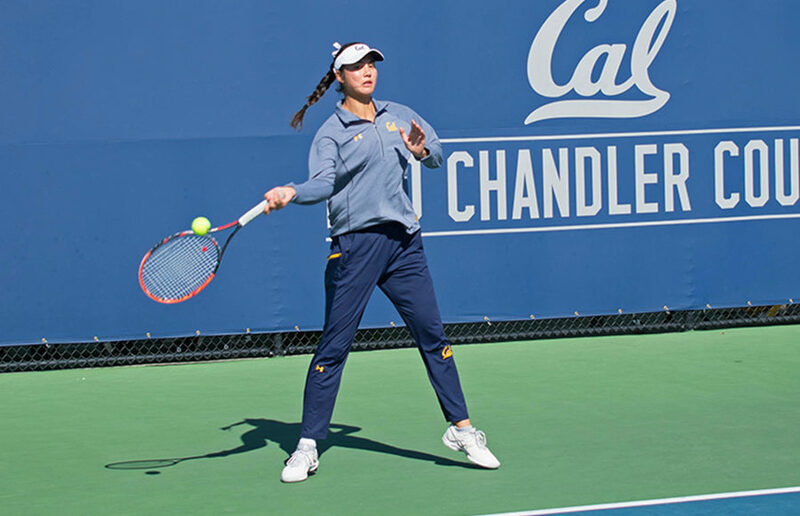 Whether they’re competing within the friendly confines of the Hellman Tennis Complex or miles away from home, Cal’s student-athletes know how to have fun and keep each other loose, even in the heat of battle. Just as the team’s animated spirit has remained constant over the past few weeks, so has head coach Amanda Augustus’ singles lineup. When healthy, the team has typically deployed freshman Julia “Jules” Rosenqvist on court one, Bright on two, Hauger on three, Smith on four and any two of freshmen Vivian “Viv” Glozman, Jasie “Jazz” Dunk and Hana Mraz on the final two courts. This group, frequently referenced on match days by their nicknames, has propelled the Bears to a 10-6 spring record, including wins in five of their past six dual matches. On the back-end of Cal’s final homestand, the Bears found themselves trailing, 2-0, against conference foe Oregon. Despite the early deficit, the middle of Cal’s lineup kicked things into high gear en route to a 5-2 victory. Cal is optimistic that its enthusiasm and sense of urgency will persist during its trip up North, where Washington and its 10-2 home record awaits. Spearheading the Huskies’ title hopes is junior Stacey Fung, the No. 22-ranked singles player in the nation and one of the top individual threats in the Pac-12. Fung carries a 24-4 singles record into this weekend, including an almost untouchable 16-1 marking in dual-match play. Fung is complemented nicely by freshman Vanessa Wong, the No. 63 singles player in the nation who has owned court two for most of her first season. A date with Bright is likely in order for Wong — a matchup that could make a huge difference in determining Friday’s victor. The Bears head across the state Saturday, when Washington State is up for the challenge of remaining undefeated on its home courts. The Cougars are 8-0 under the skies of Pullman, all part of a 20-3 overall record that positions Washington State as one of the scarier teams at the Pac-12 Tennis Championships in two weeks. Freshman Michaela Bayerlova, currently ranked No. 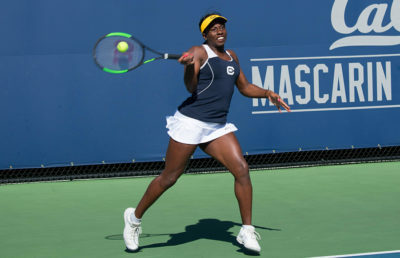 30 in singles, stands in as the Cougars’ court one competitor, but as a team, Washington State has been a tough draw for just about everybody. Together, the Cougars have pieced together a 141-32 singles and a 60-13 doubles record on the year. Forget the past few weeks of success. Cal’s hands will be full with competition this weekend, and as a squad currently looking on the outside in at a potential Pac-12 title, it’s now or never to overcome this weekend’s arduous task. “We’re still in really good contention to win the conference, and that’s what our goal is,” Augustus said.